Tomato Chair by Eero Aarnio Originals. 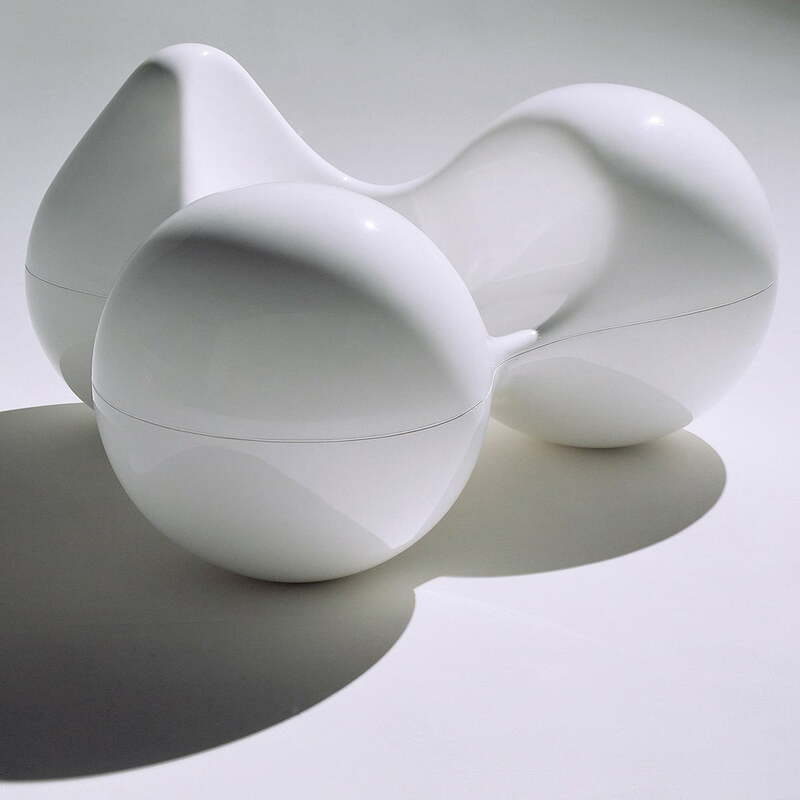 Looking at one of his earlier works, the Pastil Chair, the designer Eero Aarnio noticed that the chair could float, even with one person on it, but it was not very stable on water. He wanted to resolve this issue through a design with three large floats - the result was the Tomato Chair. The armrest and the backrest in the shape of balls would stabilize the object in the water. The name came from how the chair was viewed from the front: like two large tomatoes. The round shapes are a recurring theme in Eero Aarnio's work, but none have combined art, geometry, and everyday life as successfully as with the Tomato Chair from 1971. The combination made of fiber glass balls, results in a natural space symmetry that looks like it has been grown. It allows references to the perfect interplay in the microcosm as well as the idea of ​​stars and planets. 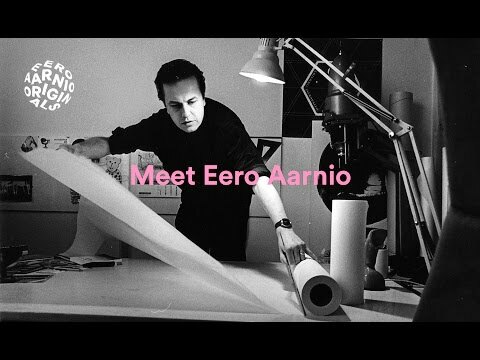 For Eero Aarnio, his home was and is, in addition to his family, the most important thing in life. He always preferred working from home, surrounded by his family and his past designs. 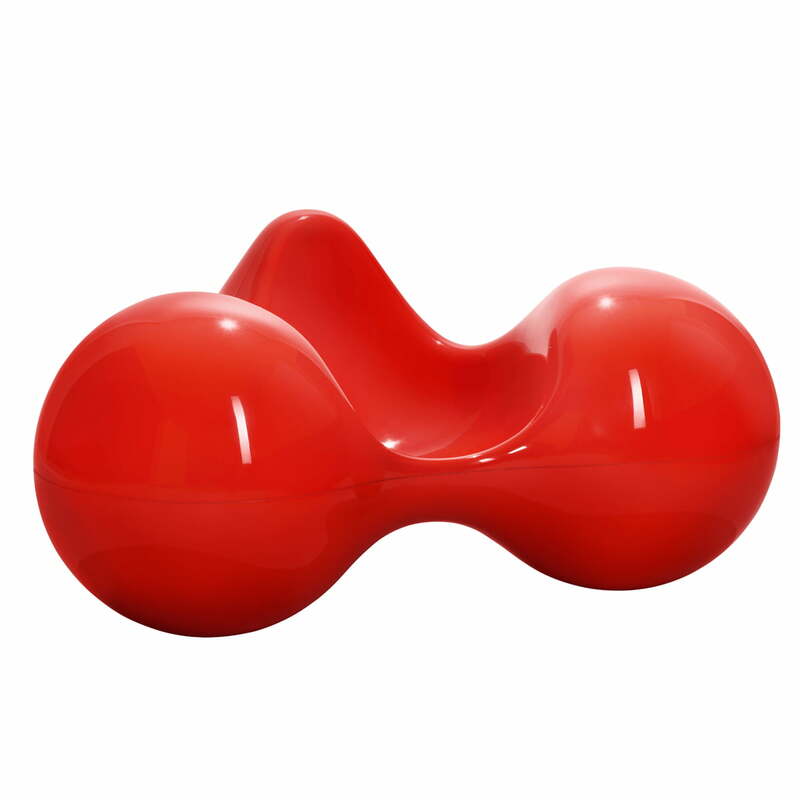 Tomato Chair by Eero Aarnio Originals in red: The combination of four fiber glass balls, three of which are equal, results in a natural space symmetry that looks like it was grown. The round shapes are a recurring theme in Eero Aarnio's work, but none have combined art, geometry, and everyday life as successfully as with the Tomato Chair from 1971.